Seen by over 100 million people worldwide, Cameron Mackintosh's THE PHANTOM OF THE OPERA is one of the highest grossing musicals of all time. Now in its 32nd record-breaking year, this multi-award winning musical continues to captivate audiences at Her Majesty's Theatre in London's West End. Located directly opposite Her Majesty's Theatre, the newly refurbished Brumus Bar & Restaurant in the Haymarket Hotel serves British seasonal cuisine and fabulous cocktails. Perfect for pre-theatre dining, guests can enjoy a glass of wine with delicious dishes, such as chicken and apricot terrine, roasted hake with cauliflower puree and pumpkin and sage risotto, as well as a selection of mouth-watering desserts from the cake table. Guests attending the matinee performances can join us for a special Afternoon Tea. Please Note: All customers must call 020 7470 4007 to reserve a table before their visit. *Valid on Monday - Thursday performances until 23rd May 2019, excluding w/c 8th & 15th April. 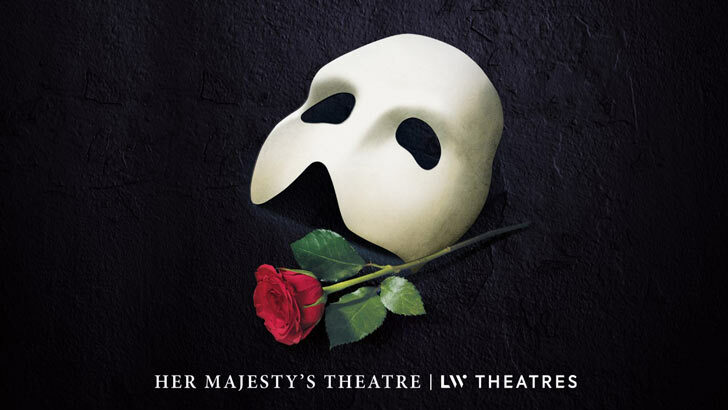 Package includes Band A ticket to THE PHANTOM OF THE OPERA at Her Majesty's Theatre and a two course meal from a set menu and a glass of house wine, or an Afternoon Tea with either tea, coffee or a hot chocolate (Thursday matinee performances only until 23rd May, excluding 11th & 18th April, customers must select this option when booking) at Brumus Bar & Restaurant at The Haymarket Hotel. Subject to availability. Offer cannot be used retrospectively or in conjunction with any other offer.